We have taken on an abandoned older cat. She is about 14 says the vet. But she refuses to interact nicely with our other four and is really aggressive. We suspect she was on the street for some time and involved in fights. At the moment she is just in one room with a litter box, whereas the other are all outside cats. Any advice? So sorry I missed seeing your question earlier! We have this same situation with our cats. Three girls hate the new boy, so like you, I have him in a separate bedroom. It has been about 9 months now and they still don’t like him, BUT they’ve learned how to co-exist by avoiding the same public areas. The girls have pretty much banned him from entering my office/bedroom and that’s where they hang out with me all day. I can let him out into the house and they just don’t go out there while he’s out there. He gets the daytime to be out, and then he goes to bed in his own bedroom about 8pm and the girls have the run of the house until mid-morning when I let him out again. I also use Feliway diffusers to help minimize the aggression, and I have him on an SSRI to keep him from being an aggressor. It’s certainly not an ideal situation to have cats that don’t like each other, but I’m about saving lives and I can’t give up on our little man. He’s a really different cat in terms of behavior, and I doubt he would be adopted. We love him in spite of everything. Awww this is so sweet! Older pets really can be the sweetest. So many reasons to 1. adopt and 2. adopt older animals! Love this! Aww, I love the idea of adopting an older pet and giving them a second chance at being a part of a loving home. We also need more love as we get into our twilight years. I think it’s great that you adopted an older cat! They deserve a great home, too! We adopted a young dog, mainly because we have young children and want to (hopefully) have her be around for a long time. My cousin is looking to adopt a pet for her daughter. I would suggest that they go to the animal rescue and look for an older dog or cat. I think it is the best way to help save these animals from being put to sleep. 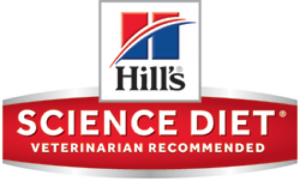 Thankfully, there is Hills Science diet to help older pets live a longer, full life. How sweet that you adopted an older kitty! Our first cat passed away this spring, and we ended up adopting two cats that had been dumped at a barn. One is about 2-4 and the other is at least 7. The older cat is missing her teeth, can’t meow, and is blind in one eye. We are glad that we can provide a great home for them, and we adopted them right around kitten season. I love our kitties so much, I can’t imagine not having them! God Bless you for adopting an older pet. I have a friend who works in rescue and it’s always so sad to see the older ones sit there year after year. We have older pets and they are calmer than the younger ones. I have never adopted but will consider an older pet if I ever do. 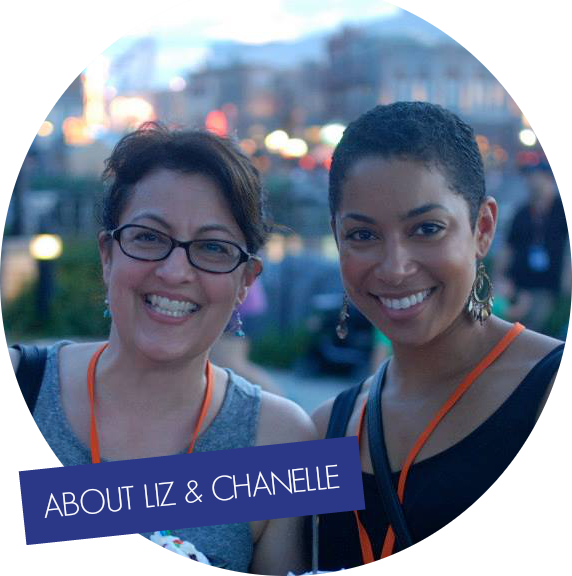 This is such a sweet story about you two! We’re hoping to move in the new year and adopt a dog for the kids asap and I’m defiantly considering an older, gentler animal. I think what you did is great! We have 9 pets at home but don’t have a cat, I wish we have but due to allergy reason, we can’t. Adopting is the great way to have a pet. All pets need love no matter their age. It is so true that older animals have a harder time getting adopted. That’s so cool. My parents adopted a senior dog as part of a seniors adopting seniors program. It was really good for the pets and the owners! Yeah, I’m over the puppy phase. I think adopting an older dog is a great idea and one that more of us should look into. I love everything about this. Older pets need love too. New kitten are cute but they are a lot of work and requires training. I would totally adore an older pet. 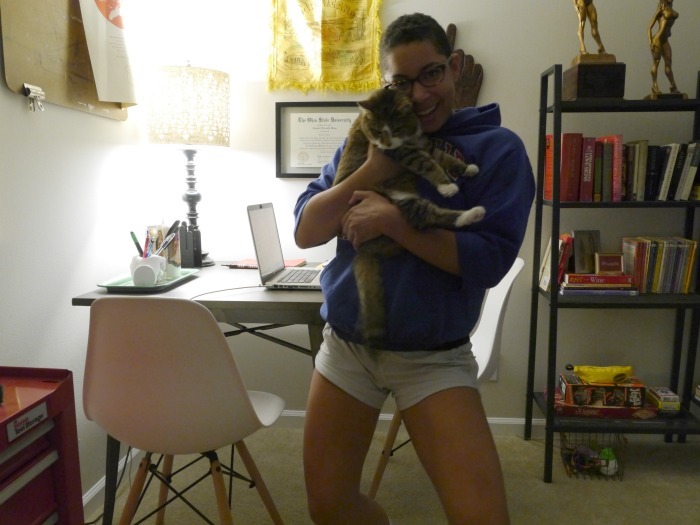 I am a total cat lady! (And I’ve decided I want to start fostering kittens not ready for adoption so they aren’t put down.) Mony is a pretty girl and her coat looks great! Older cats absolutely have a place, they’re already through the kitten stage. Senior pets are just as amazing as adopting a kitten or a puppy. They deserve to live the last years of their lives in a loving and happy home. I think it’s awesome that you’re promoting this. That is great that you’ve been happy with adopting an older pet. Giving a cat or dog a home is one of the greatest gifts since animals give back so much to us. Ah I wouldn’t be opposed to adopting an older pet either! In fact my parents just adopted a 5 year old pup! I think adopting an older pet is a great idea. Sometimes the kitten or puppy stage can be overwhelming so you get to skip all of that behavior. It’s so wonderful to adopt an older pet. You know what you’re getting and they get a good home. What could be better? This is what I want to do for my next pet. An older one means no puppy or kitten stage and it means rescuing one that might not get a home otherwise. Win win. This is such great news! It’s so hard for them to find a good home. Adopting older pets is a wonderful idea. We got all of ours from puppies, but i never want to go through that puppy stage again! This is good news. I have a senior cat who literally “walked” into our home two years ago. 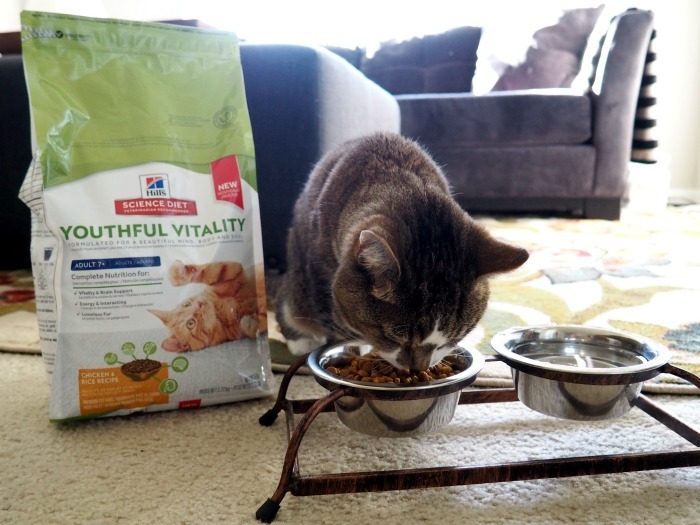 I will switch to this brand of cat food to ensure our old man gets the right nutrition for his age. Aww your pet is so cute. My husband wants to adopt an older pet and it’s something we’re considering for the near future. Glad to hear you’re not regretting your decision. We adopted a senior dog when I was a kid, and he was the best dog we ever had. It is so important to give those senior pets a chance! I will have to check out mission adoptable. Senior pets are amazing and have so much to offer. Especially for senior people or families with young children. I have been thinking of adopting a cat lately. I would want a senior one that was more relaxed but still good with kids. Adopting a senior pet was a great decision for my parents. They did not want to have to train a puppy again. They adopted a great Shitzu that was 10. She lived until 17 and was a fantastic companion for them. We adopted an older dog for my dad and he’s great. We all love him so much even if he’s a little cranky! If we only had more room in the house, we’d be adopting another cat. 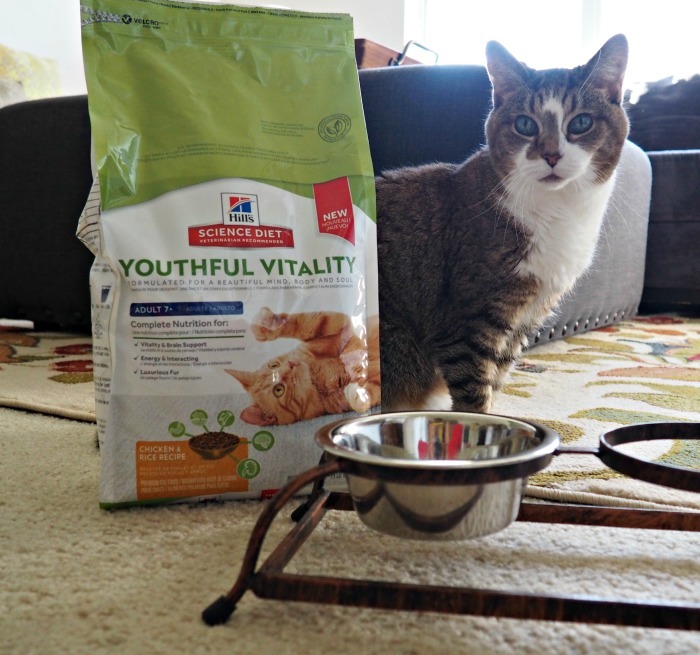 I am glad to know that there are special formulation food for senior cats/dogs! This would be good should we decide to push through with getting an adult cat. I love knowing you adopted an older pet. I would do that in a heartbeat if we were in the position to adopt again. Same sentiment, Kelly. I wish we had more space so we could take in an older pet. They are calmer and easier to take care of. I honestly don’t know why people don’t like adopting older pets more. Sure, you’ve got a little less time with them but usually they’re already trained OR easier to train and SO much less work than a baby. I agree. When we adopted an older dog for my dad, Rio was already potty trained and knew several commands. How wonderful that you adopted an older pet! They so often get overlooked because everyone thinks they need a baby puppy when in fact, I believe that older pets make the best pets!! This is a great point. We are thinking of getting a dog in the next few years and its not always necessary to JUSt get a puppy! We adopted a puppy, but I would not be opposed to adopting an older pet. My grandmother did, and she enjoyed the dog. I always adopt older pets. The only kitten we ever adopted was one that was living in a tree in front of our house when we had a raccoon mom and her babies terrorizing it. Kittens and puppies are cute and adorable, but nothing beats the love of an older animal who loves you unconditionally and needs your love in return. This looks like a great brand of food. If I could have a pet, I would be open to adopting an older one. I think it is wonderful that you adopted an older cat. In some ways it’s better for the sheer fact that you know their personality and they are already trained on certain things. Kittens are very cute but there’s a lot of training you have to do with the kitten. Older animals are perfect. This is so sweet! I hope down the line we can adopt older pets. Whenever we go to the shelter, I always see them and I wish I could take them all! I think cats are easier to give a home to when someone else has raised them. Very loving and really enjoy the love and attention. Wonderful you helped save and give a home to your kitty. For me, older pets are more laid back and so much easier to take care of. I love that you are doing your part to raise awareness of older pet adoption. We’ve been kicking around the idea of adopting a pet. I think the kids would love it. An older pet seems ideal because they need a home and the kids will be able to enjoy a pet that’s not jumping all over them. We’re looking to adopt a pet right now, and I think we will go the senior route. The senior dogs have such a difficult time getting adopted and they deserve to live out their years in peace and comfort. I really think adopting an older pet is God’s work. It’s so hard for them to find homes. Thank you for doing it! We haven’t either. In fact, we’re starting the process of finding another one right now!